When it comes to finding the best prescription glasses in Katy TX, our team at Eye Site has exactly what you need every time. We provide a wide range of styles in a variety of colors and shapes to fit most needs. And, you’ll find the prescription glasses you need for men, women, and children. Protect your eyes and improve your vision with a new pair of prescription glasses. You’ll love the way you look and the outstanding customer service we always provide. Let our team help you find the right look for your needs. Even if you are unsure what style or size is right for your unique needs, we’re happy to help you find them! When you come in for an appointment, we’ll talk to you about all of the options available. We work closely with children, too, to ensure they get the most durable product available. Square Face: Those who have a square face have very dominant features. You have a wider forehead and larger, more prominent jawline. For this face shape, you will benefit from thinner and less prominent glasses. Choose more natural color tones to allow your angular features to stand out. Heart-shaped Face: This face shape tends to have a narrow chin with a wider forehead. And, your higher cheekbones tend to stand out. With this face shape, keep features – such as squared lenses or textures, on the bottom half of the glasses. Look for those glasses with a wider design. Oval Face: The high cheekbones, with a narrower forehead and chin helps to create a very balanced, even face for those with an oval shape. With your rounded face, you’ll benefit from interesting features. Choose glasses with bolder shapes and more color. Round Face: A common face shape, this one includes fuller cheeks and a rounded chin. Your face tends to be about equal in length and width. For this face, choose glasses that will stand out with more details and bolder colors. You’ll benefit from glasses that are a bit wider rather than taller. 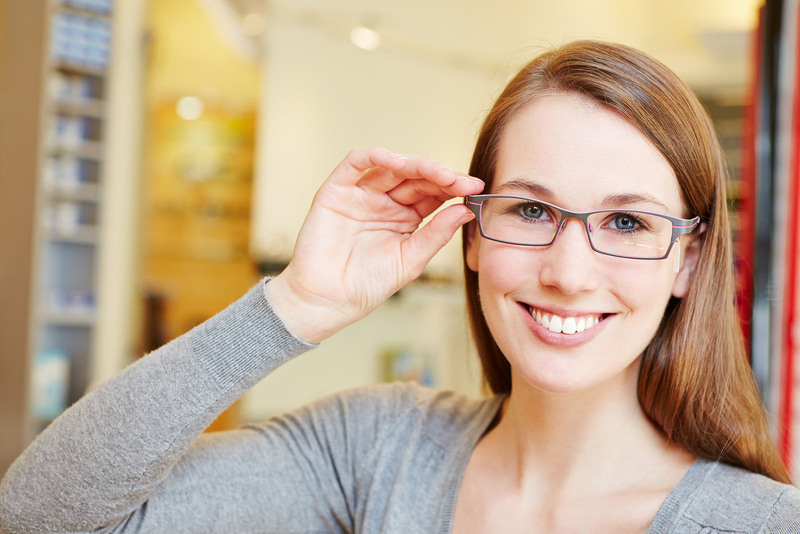 Now is the perfect time to buy the prescription glasses in Katy TX you need. Our team is ready to work with you. Talk to us about prescription glasses that fit your needs. We’re happy to help you find the perfect glasses for any need. Call our Katy office at 281-644-2010.